Port and cheese are a delicious and decadent combination. The richness of this fine sweet wine are able to withstand and compliment the strong cheese flavours! This Port hamper will always go down well! 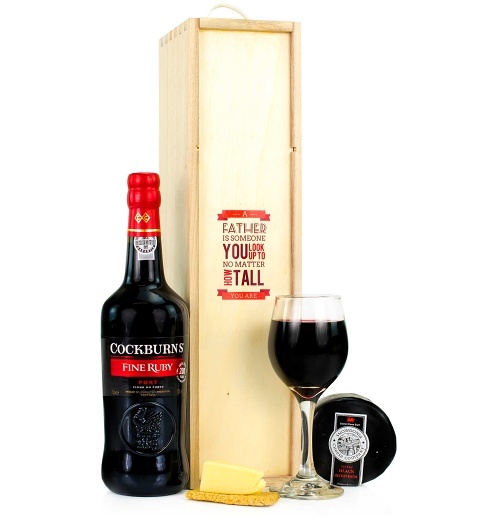 Available for UK next day delivery, this hamper is stylishly packaged in a wooden crate.